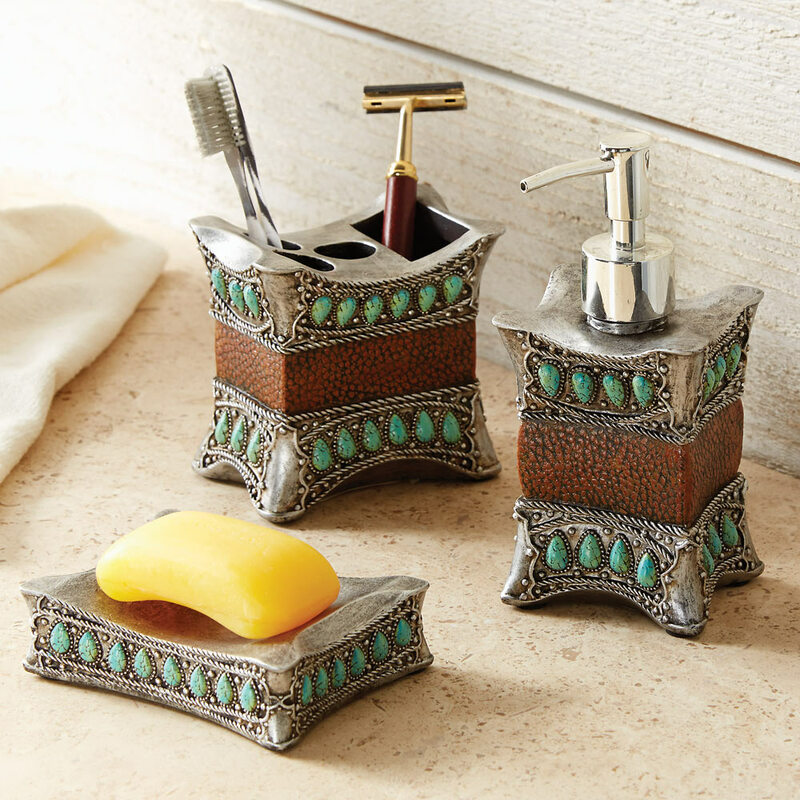 A Black Forest Decor Exclusive - This high-quality resin bath set is hand painted with a leather-textured center band and turquoise accents. Set includes soap dish, toothbrush holder and lotion pump. Allow 1 to 2 weeks.